Barry is a depressed, low-rent hitman from the Midwest. Lonely and dissatisfied in his life, he reluctantly travels to Los Angeles to execute a hit on an aspiring actor. Barry follows his “mark” into an acting class and ends up finding an accepting community in a group of eager hopefuls within the LA theater scene. He wants to start a new life as an actor, but his criminal past won’t let him walk away —can he find a way to balance both worlds? 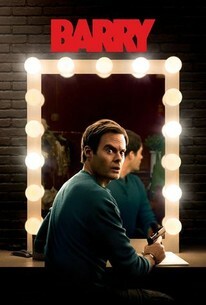 We’re teaming up with HBO Home Entertainment to bring 1 DIGITAL HD copy of Barry: The Complete First Season to giveaway to the readers of CinemaDeviant.com. Interested? I knew you would be. Just enter in the form down below and cross your fingers, toes and eyes! The contest is open to U.S. and Canada Residents Only. The winner will be notified by email when it’s over. Winner has 24 hours to respond before I do another random drawing. Good Luck everyone and look for Barry: The Complete First Season available on Digital HD NOW! This entry was posted	on Wednesday, June 27th, 2018 at 8:57 pm	and is filed under Giveaways. You can follow any responses to this entry through the RSS 2.0 feed. You can leave a response, or trackback from your own site.